Price listed is for 10 pairs (20 pieces) of post earrings. 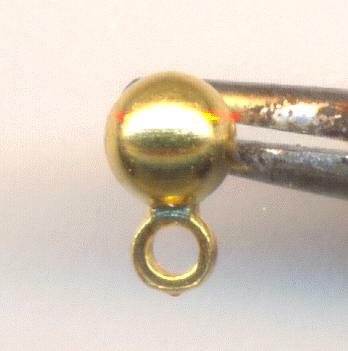 These are gold plated ball ear posts that measure approximately 6mm long by 4mm wide (including the loop). 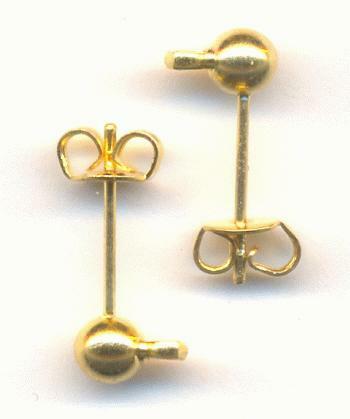 These have a single loop at the bottom for hanging beads or charms. These come with earring clutches for the post backs.